PUNTA CANA, Dominican Republic – Enough was enough, Graeme McDowell said. There was to be no more messing up. After meetings with his team to talk about his efforts, poor finishes to tournaments, and just lackluster results for a guy who was once ranked in the top-10 in the world, the monkey came off his back Sunday in Punta Cana. 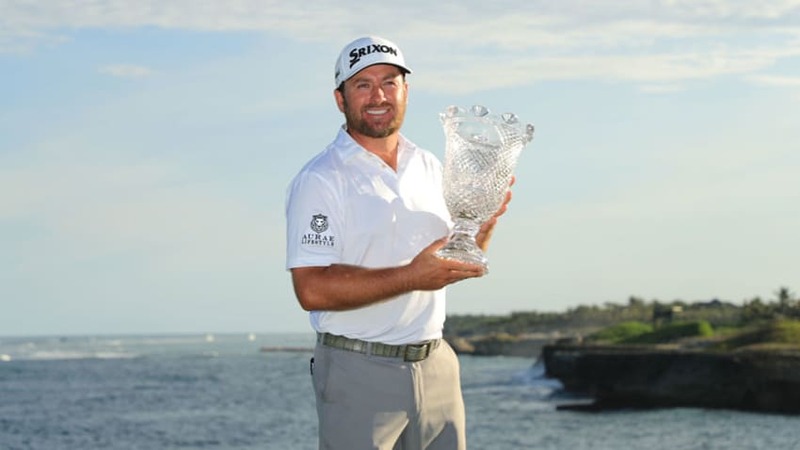 McDowell shot a 3-under-par 69 in the final round of the Corales Puntacana Resort & Club Championship to win by one over Chris Stroud and Mackenzie Hughes – his fourth PGA TOUR win. The 39-year-old came into the week wanting to play well, earn some much-needed FedExCup points, and hoped to get some momentum heading into a busy summer stretch as he tries to qualify for this year’s Open Championship at Royal Portrush – in his hometown in Northern Ireland. This win checks all three of those boxes. This win, he said, has given him the confidence he needs to continue to play with some of the world’s best. He said with his playing privileges secured and with a big jump in the FedExCup standings, he’s going to playing much looser moving forward. McDowell has long admitted that life got in the way of him playing some good golf since his win in 2015 at the Mayakoba Golf Classic. He finished 160th on the FedExCup standings in 2015, 136th in 2017, and 144th in 2018. He had to take all of January off as he battled a wrist injury. Up to this point he had no top-10’s on the year, and was just plodding along without much to show for his efforts. He’s missed only one cut, but there hasn’t yet been a tournament when he strung four solid rounds together. That changed in a big way this week. He was lights out both Friday and Saturday – shooting matching 64’s and needing only 20 putts on Saturday – and seemed to continue that run early Sunday, as he was 4-under through seven holes. McDowell bogeyed No. 9 and made seven-straight pars before birding the par-3 17th. It was a key two-shot swing, as Stroud made bogey. McDowell’s longtime caddie, Ken Comboy, said there had been signs McDowell was close to breaking out. McDowell said Comboy was the one who suggested there might be a couple shot swing in the final three holes at the Corales Golf Course, which were playing to a different wind than the first three days, and Comboy said he was happy to see it all come together this week for McDowell. The win Sunday was a culmination of a lot of hard work over a long period of time, he said. “It’s been coming; it’s just not come soon enough,” Comboy, who has been with McDowell for 13 years, told PGATOUR.com. “Every week we’ve been in with a shout we’ve kept messing it up and it’s just been really frustrating. He’s not walked away from a golf tournament in the last 12 months like he’s got anything out of it. It’s been a frustrating time for him." McDowell is still hoping for another TOUR win to come when he can celebrate by having his three kids run on to the green, but he enjoyed a call with his youngest after the trophy ceremony. Last year McDowell came to Punta Cana to try to earn some valuable FedExCup points and left with nothing but the taste of Dominican rum on his breath, he said. This year, the only rum he’ll be drinking will be in celebration.